Group recipient of a SA Great Award for Tourism, Eyre Peninsula for the ‘Fishy Fringe Festival. Landscape drawing workshops in Port Augusta, Whyalla and Ceduna, SA. 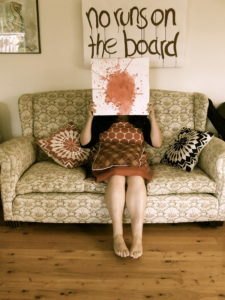 Bachelor of Art Theory (Honours), College of Fine Arts, University of NSW. (1996). Born in Taree, NSW Suzannah grew up in Wingham NSW where her mother’s family had lived for five, possibly six generations. Educated at Wingham High School, she took off to Sydney after completing her HSC. After her graduate studies she realised city life was not for her (even though fun) and went to Katoomba but ended up in Whyalla SA, where she lived for eight years. 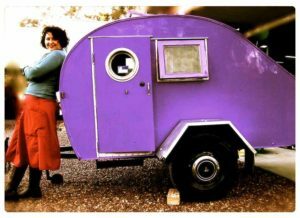 Now she resides in the Port Stephens region with her partner, two small boys, a dog and two vintage caravans. ‘I am a late starter. Though I worked in the arts, I didn’t start making art seriously until I was 30. The past ten years of practice has been a series of artistic accidents’.